Saw Mill Road Elementary School students are always looking to spread goodwill, and that is continuing in the new year with a pair of charitable activities. The youngsters are supporting the North Bellmore School District’s mission statement by contributing to the global community with creativity and compassion. The Student Council is hosting its annual Souper Bowl collection. In honor of the big football game, students are asked to donate cans of soup to support local families. Donations, which are being collected through Feb. 1, will go to the Bellmore-Merrick Central High School District’s Community Cupboard. Students are also making cards for retired servicemen and women through the Valentine’s for Veterans programs. Hundreds of colorful cards with heartfelt messages will be given to Nassau County in February and distributed to veterans at hospitals and nursing homes. 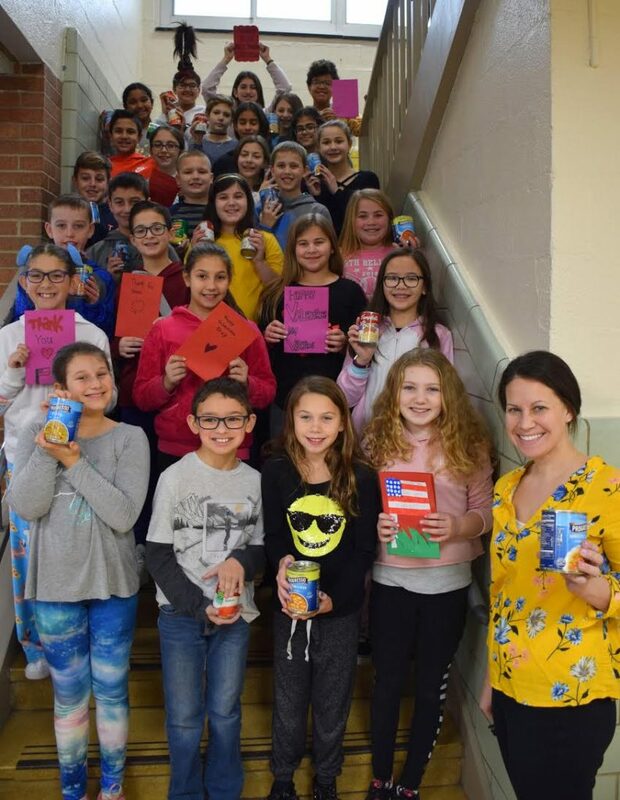 Photo Caption: Student Council members at Saw Mill Road Elementary School are collecting soup for local families and Valentine’s Day cards for veterans.